CHARLES MATURIN—S. T. COLERIDGE—LEIGH HUNT—MADAME DE STAËL—MRS. GRAHAM. drama to Walter Scott, as from an “obscure Irishman,” telling him of his sufferings as an author and the father of a family, and imploring his kind opinion. Scott replied in the most friendly manner, gave him much good advice, spoke of the work as “grand and powerful, the characters being sketched with masterly enthusiasm;” and, what was practically better, sent him £50 as a token of his esteem and sympathy, and as a temporary stop-gap until better times came round. He moreover called the attention of Lord Byron, then on the Committee of Management of Drury Lane Theatre, to the play, and his Lordship strongly recommended a performance of it. Thanks to the splendid acting of Kean, it succeeded, and Maturin realized about £1000. The Rev. C. Maturin to John Murray. I am in horrid dejection; every shilling that I draw from England goes to pay the debts of that scoundrel to whom I don’t owe a farthing, and from whom I shall never receive one. My dear Murray, I must write to you more confidentially. I am given to understand, from all sides, that I have not been so well treated as I ought in another quarter. I know not how to act; at all events, Volto sciolto, i pensieri stretti must be my motto for the present. I am in such a wretched state of lassitude and depression that I have been some hours writing these few lines, pausing over every sentence to know whether it had any meaning, and doubting whether I was capable of giving it any. However, I have still some gratitude left, to send my best respects to Mrs. Murray, and to assure you that to your friendly and hospitable attention I am indebted for the only pleasant hours passed during my sojourn in London. Should you think of answering this incoherent scrawl, let me know if ‘Bertram’ keeps any hold of the public still, as I see Kean is announced in his former characters. John Murray to Lord Byron. Maturin’s new tragedy, ‘Manuel,’ appeared on Saturday last, and I am sorry to say that the opinion of Mr. Gifford was established by the impression made on the audience. The first act very fine, the rest exhibiting a want of judgment not to be endured. It was brought out with uncommon splendour, and was well acted. Kean’s character as an old man—a warrior—was new and well sustained, for he had, of course, selected it, and professed to be—and he acted as if he were—really pleased with it. But this feeling changed to dislike after the first night, for he then abused it, and has actually walked through the part ever since, that is to say, for the other three nights of performance, for they do not act on Wednesdays or Fridays, and this night the performance is changed to ‘Lovers’ Vows.’ I met Geo. Lamb on Tuesday, and he complained bitterly of Kean’s conduct, said that he had ruined the success of the tragedy, and that in consequence he feared Maturin would receive nothing. The expense to the managers must have been very great, and it will complete, I suspect, the ruin of Drury under its present directorship, and so I rejoice that your name appears not amongst them. I send you the first act, that you may see the best of it. I have undertaken to print the tragedy at my own expense, and to give the poor Author the whole of the profit. The mention of the name of Coleridge, who was in frequent correspondence with Mr. Murray about this time (1816), induces us to revert to an earlier date to record the origin of their association. Mr. Coleridge to John Murray. Josiah Wade’s, Esq., 2, Queen’s Square, Bristol. I have heard, from my friend Mr. Charles Lamb, writing by desire of Mr. Robinson, that you wish to have the justly-celebrated ‘Faust’ of Goethe translated, and that some one or other of my partial friends have induced you to consider me as the man most likely to execute the work adequately, those excepted, of course, whose higher power (established by the solid and satisfactory ordeal of the wide and rapid sale of their works) it might seem profanation to employ in any other manner than in the development of their own intellectual organization. I return my thanks to the recommender, whoever he be, and no less to you for your flattering faith in the recommendation; and thinking, as I do, that among many volumes of praiseworthy German poems, the ‘Louisa’ of Voss, and the ‘Faust’ of Goethe, are the two, if not the only ones, that are emphatically original in their conception, and characteristic of a new and peculiar sort of thinking and imagining, I should not be averse from exerting my best efforts in an attempt to import whatever is importable of either or of both into our own language. of Thought as affected and modified by Passion and Emotion, I should spend days in avoiding what I deemed faults, though with the full fore-knowledge that their admission would not have offended perhaps three of all my readers, and might be deemed Beauties by 300—if so many there were; and this not out of any respect for the Public (i.e., the persons who might happen to purchase and look over the Book), but from a hobby-horsical, superstitious regard to my own feelings and sense of Duty. Language is the sacred Fire in this Temple of Humanity, and the Muses are its especial and vestal Priestesses. Though I cannot prevent the vile drugs and counterfeit Frankincense, which render its flame at once pitchy, glowing, and unsteady, I would yet be no voluntary accomplice in the Sacrilege. With the commencement of a Public, commences the degradation of the Good and the Beautiful—both fade and retire before the accidentally Agreeable. ‘Othello’ becomes a hollow lip-worship; and the ‘Castle Spectre,’ or any more peccant thing of Froth, Noise, and Impermanence, that may have overbillowed it on the restless sea of curiosity, is the true Prayer of the Praise and Admiration. calculate on caprice and accident (for instance, some fashionable man or review happening to take it up favourably), but that otherwise my fears would be stronger than my hopes. Men of genius will admire it, of necessity. Those must, who think deepest and most imaginatively. Then ‘Louisa’ would delight all of good hearts. John Murray to Mr. Coleridge. out this week for the Continent. If this work succeeds, I am in hopes that it will lead to many similar undertakings. I should hope that it might not prove inconvenient to you to complete the whole for Press in the course of November next. was too good, and not good enough; and the advice of the younger Pliny: ‘Aim at pleasing either all, or the few,’ is as prudentially good as it is philosophically accurate. I wrote to Mr. Longman before the work was published, and foretold its fate, even to a detailed accuracy, and advised him to put up with the loss from the purchase of the MSS. and of the Translation, as a much less evil than the publication. I went so far as to declare that its success was, in the state of public Taste, impossible; that the enthusiastic admirers of ‘The Robbers,’ ‘Cabal and Love,’ &c., would lay the blame on me; and that he himself would suspect that if he had only let on another Translator than, &c. Everything took place as I had foretold, even his own feelings—so little do Prophets gain from the fulfilment of their Prophecies! * Twenty-seven numbers of The Friend were published by Coleridge at Penrith in Cumberland in 1809-10, but the periodical proved a failure, principally from the irregularity of its appearance. It was about this time that he was addicted to opium-eating. quarrel with me for not getting more, for I fail by publishing what they will not read! I. That on the delivery of the last MS. sheet you remit 100 guineas to Mrs. Coleridge, or Mr. Robert Southey, at a bill of five weeks. 2. That I, or my widow or family, may, any time after two years from the first publication, have the privilege of reprinting it in any collection of all my poetical writings, or of my works in general, which set off with a Life of me, might perhaps be made profitable to my widow. And 3rd, that if (as I long ago meditated) I should re-model the whole, give it a finale, and be able to bring it, thus re-written and re-cast, on the stage, it shall not be considered as a breach of the engagement between us, I on my part promising that you shall, for an equitable consideration, have the copy of this new work, either as a separate work, or forming a part of the same volume or book, as circumstances may dictate to you. When I say that I am confident that in this possible and not probable case, I should not repeat or retain one fifth of the original, you will perceive that I consult only my dread of appearing to act amiss, as it would be even more easy to compose the whole anew. If these terms suit you I will commence the Task as soon as I receive Goethe’s works from you. If you could procure Goethe’s late Life of himself, which extends to a short way, or any German biographical work, it would enable me to render the preliminary Essay more entertaining. respect to the translation of ‘Faust,’ which is to be deplored, as his exquisite and original melody of versification might have produced a translation almost as great as the original. Sweet bird! thou wert enchanted! And thus he sang: Adieu! Adieu! Love’s dreams prove seldom true. Sweet month of May! we must away! * We give the lines because they are not included in Coleridge’s complete works; yet they were set to music many years ago. £20 for permission to publish the poem entitled ‘Kubla Khan,’ but which the author should not be restricted from publishing in any other way that he pleased. highly interesting materials; foreign writers, though alive, not to be excluded, if only their works are of established character in their own country, and scarcely heard of, much less translated, in English literature. Jean Paul Richter would supply two or three delightful articles. Any works which should fall in your way respecting the Jews since the destruction of the Temple, I should of course be glad to look through. Above all, Mezeray’s (no! that is not the name, I think) ‘History of the Jews,’ that I must have. I shall be impatient for the rest of Mr. Frere’s sheets. Most unfeignedly can I declare that I am unable to decide whether the admiration which the excellence inspires, or the wonder which the knowledge of the countless difficulties so happily overcome, never ceases to excite in my mind during the re-perusal and collation of them with the original Greek, be the greater. I have not a moment’s hesitation in fixing on Mr. Frere as the man of the correctest and most genial taste among all our contemporaries whom I have ever met with, personally or in their works. Should choice or chance lead you to sun and air yourself on Highgate Hill during any of your holiday excursions, my worthy friend and his amiable and accomplished wife will be happy to see you. We dine at four, and drink tea at six. Southey’s article, on which Mr. Gillman and I have, it appears, formed very different opinions. It is, in my judgment, a very masterly article. * I would to heaven, my dear sir, that the opinions of Southey, Walter Scott, Lord Byron, Mr. Frere, and of men like these in learning and genius, concerning my comparative claims to be a man of letters, were to be received as the criterion, instead of the wretched, and in deed and in word mystical jargon of the Examiner and Edinburgh Review. Mr. Randall will be so good as to repay you the £50, and I understand from Mr. Gillman that you are willing to receive this as a settlement respecting the ‘Zapolya.’ The corrections and additions to the two first books of the ‘Christabel’ may become of more value to you when the work is finished, as I trust it will be in the course of the spring, than they are at present. And let it not be forgotten, that while I had the utmost malignity of personal enmity to cry down the work, with the exception of Lord Byron, there was not one of the many who had so many years together spoken so warmly in its praise who gave it the least positive furtherance after its publication. It was openly asserted that the Quarterly Review did not wish to attack it, but was ashamed to say a word in its praise. Thank God! these things pass from me like drops from a duck’s back, except as far as they take the bread out of my mouth; and this I can avoid by consenting to publish only for the present times whatever I may write. You will be so kind as to acknowledge the receipt of the £50 in such manner as to make all matters as clear between us as possible; for, though you, I am sure, could not have intended to injure my character, yet the misconceptions, and perhaps misrepresentations, of your words have had that tendency. By a letter from R. Southey I find that he will be in town on the 17th. The article in Tuesday’s Courier was by me, and two other articles on Apostacy and Renegadeism, which will appear this week. * This must have been Southey’s article on Parliamentary Reform, in No 31, which, though due in October 1816, was not published until February 1817. John Murray to Mr. Scott. Hunt was then, with his brother, joint editor of the Examiner, and preferred writing for the newspaper to contributing articles to the Quarterly. John Murray to Mr. Leigh Hunt. I have now read the M S. poem, which you confided to me, with particular attention, and find that it differs so much from any that I have published that I am fearful of venturing upon the extensive speculation to which your estimate would carry it. I therefore wish that you would propose its publication and purchase to such houses as Cadell, Longman, Baldwin, Mawman, &c., who are capable of becoming and likely to become purchasers, and then, should you not have found any arrangement to your mind, I would undertake to print an edition of 500 or 750 copies as a trial at my own risk, and give you one half of the profits. After this edition the copyright shall be entirely your own property. By this arrangement, in case the work turn out a prize, as it may do, I mean that you should have every advantage of its success, for its popularity once ascertained, I am sure you will find no difficulty in procuring purchasers, even if you should be suspicious of my liberality from this specimen of fearfulness in the first instance. I shall be most happy to assist you with any advice which my experience in these matters may render serviceable to you. Mr. Leigh Hunt to John Murray. You would have had the enclosed sooner, but I hoped, day after day, to have the pleasure of calling upon you, and have been twice in Piccadilly since you wrote to me. On one of the days, however, I was very late at dinner where I was engaged, and the other was a Sunday, when I thought you might choose to have one day out of seven to yourself and not be profanely interrupted. I am now going to say a word or two on the subject of the sale of my copyright, and ought indeed to have mentioned it before, but for a foolish disinclination I have to talk of these matters. Before I proceed any further I wish to say that I consider you, and you alone, as having possession of that copyright ultimately, from your having gone so far with it already in the publication, and treated me in so gentlemanly a manner; nor, in case it should be inconvenient to you to do what I am about to mention, shall I make use of the book in any other quarter, not that you might object perhaps to my so doing, but because, for my own gratification and convenience, I would much rather raise the money I want in another manner. There is no question therefore whatsoever on that point; all that I want to know is, whether you can do for me what I ask conveniently for your general speculations and the other demands upon you. the bargain, or merged in the payment of the poem in case you do. I just write to say something which I had omitted in my last, and to add a word or two on the subject of an expression in your answer to it. I mean the phrase “plan of assistance.” I do not suppose that you had the slightest intention of mortifying me by that phrase; but I should wish to impress upon you, that I did not consider my application to you as coming in the shape of what is ordinarily termed an application for assistance. Circumstances have certainly compelled me latterly to make requests, and resort to expedients, which, however proper in themselves, I would not willingly have been acquainted with; but I have very good prospects before me, and you are mistaken (I beg you to read this in the best and most friendly tone you can present to yourself) if you have at all apprehended that I should be in the habit of applying to you for assistance, or for anything whatsoever, for which I did not conceive the work in question to be more than a security. I can only say, with regard to yourself, that I am quite contented, and ought to be so, as long as you are sincere with me, and treat me in the same gentlemanly tone. This negotiation was ultimately brought to a conclusion by Mr. Hunt, at Mr. Murray’s suggestion, disposing of the copyright of ‘Rimini’ to another publisher. Mr. Murray had a good deal of correspondence with Madame de Staël. He had in 1813 published her ‘L’Allemagne,’ which was translated by F. Hodgson, edited by William Lamb, and excited a considerable sensation at the time. Napoleon was furious at its original publication at Paris, and ordered Savary, the Minister of Police, to seize the whole stock of ‘L’Allemagne’ at the Paris publishers, virtually hunted Madame de Staël from France, and had a strict watch kept upon her at Coppet, in Switzerland, whither she had retired for refuge. At length she contrived to escape, and went by way of Russia to England, where she superintended the translation and publication of her work. Gifford wrote of her to Murray, when the question of publishing the translation of her ‘L’Allemagne’ was under consideration. Mr. Gifford to John Murray. Madame de Staël to John Murray. * “Mdme. de Staël hath published an essay against Suicide, which I presume will make somebody shoot himself; as a sermon by Blenkinsop in proof of Christianity sent a hitherto most orthodox acquaintance of mine out of a chapel of ease a perfect atheist.”—Byron to Moore, July 8th, 1803.
et c’est sur celui-là que Mr. John Murray a ré-imprimé l’ouvrage. J’ai assez de chose à vous dire et à vous demander, my dear Sir. Un diner de famille vous ennuyerait-il? Et voulez-vous venir demain à 6 h. et demie chez moi? Bowood, near Calne, le 26 8bre, 1813. Voilà la préface, my dear Sir, avec les corrections de Sir James que je vous prie de faire accepter. Je serai de retour à Londres vendredi 5 Novembre; ainsi je vous prie de ne pas envoyer l’exemplaire du Prince Regent avant que je vous aye vu; ce qui sera j’espére samedi matin, Argyle Street, No. 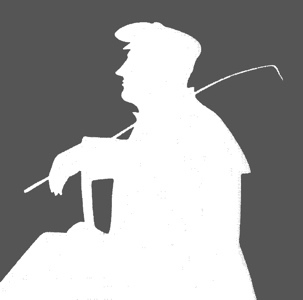 31.—Nous avons ici la plus intéressante réunion du monde, tout-à-fait digne du maître et de la maîtresse de la maison: on s’y parle beaucoup de vos procédés envers les hommes de lettres: j’entends Sir James [Mackintosh] et moi. Je vous demanderai un exemplaire à Dument, un à Rogers, et un à Lucien, à qui j’ecrirai. Je souhait presqu’autant pour vous que pour moi le succés de mon ouvrage. Je serai chez vous vendredi à cinq heures, my dear Sir. J’ai été charmée de Mr. Southey; son âme et son esprit m’ont paru de la même force et dans le même sens. Il y a bien longtemps que je n’ai été chez vous, c’est à dire in the head-quarters of Mr. Canning. propositions à l’égard de M. Constant, lettres sur Rousseau, Delphine, &c. Parlez à Colburn, mais quand vous voudriez; je ne suis pas pressée. On the 28th of June, 1816, the Baron de Staël wrote to Mr. Murray on the subject of his mother’s work, ‘Des Causes et des Effets de la Révolution Française.’ He said that the plan had been extended, that it would be in three volumes, and that the work was calculated to produce a general sensation in Europe. John Murray to Baron de Staël. the double of what you paid to the former; considering, besides, that you have the privilege for the translation as well as of the original. In short, the only reduction which I think my mother would agree to is the sum of £2500 for her volumes, that Sir J. Mackintosh had been commissioned by you to propose to her two years ago. The Honble. J. W. Ward to John Murray. After his mother’s death, Baron de Staël continued his negotiations with Mr. Murray, but no satisfactory arrangement could be arrived at, and the work was in the end published by Messrs. Baldwin and Cradock. Mrs. Graham to John Murray. Broughty Ferry, December 9th, 1815.
in the Mediterranean. Captain Graham was afterwards ordered to the coast of Brazil, whence Mrs. Graham addressed many interesting letters to her friends in Albemarle Street Some time after the death of Captain Graham, R.N., she married Mr., afterwards Sir Augustus, Callcott, R.A. Although she had before published some interesting books—such as ‘An Account of her Travels in India,’ her ‘Three Months in the Environs of Rome,’ her ‘History of Spain,’ and several works on Art,—her most popular and best read work was ‘Little Arthur’s History of England.’ many hundred thousand copies of which have by this time been printed and published. Robert Baldwin (1780-1858) London bookseller apprenticed in 1794; he entered into partnership with Charles Cradock and William Joy, and was publisher of the London Magazine. Cardinal David Beaton (1494 c.-1546) Catholic archbishop of St. Andrews, murdered by the Protestant John Leslie. Lucien Bonaparte (1775-1840) Brother of Napoleon; he was captured by the British while attempting to flee to the United States. He lived under house arrest in England (1810-14) while working on his epic poem on Napoleon. Edmund Burke (1729-1797) Irish politician and opposition leader in Parliament, author of On the Sublime and Beautiful (1757) and Reflections on the Revolution in France (1790). Frances D'Arblay [née Burney] (1752-1840) English novelist, the daughter of the musicologist Dr. Charles Burney; author of Evelina; or, The History of a Young Lady's Entrance into the World (1778), Cecilia, or Memoirs of an Heiress (1782), and Camilla (1796). Thomas Cadell the younger (1773-1836) London bookseller, son of his better-known father; the younger Cadell entered into partnership with William Davies in 1793. In 1802 he married Sophia Smith, sister of James and Horace Smith of the Rejected Addresses. Sir Augustus Wall Callcott (1779-1844) English landscape painter; he was the younger brother of John Wall Callcott and the second husband of Maria Dundas Callcott. Lady Maria Callcott [née Dundas] (1785-1842) The daughter of Admiral George Dundas, in 1809 she married Thomas Graham (d. 1822), and in 1827 the painter Augustus Wall Callcott; she was a prolific author of books on travel, art, and history, and a notable society hostess in Kensington. Girolamo Cardano (1501-1576) Italian physician, mathematician, and miscellaneous writer; he wrote De propria vita (1576). Henry Colburn (1785-1855) English publisher who began business about 1806; he co-founded the New Monthly Magazine in 1814 and was publisher of the Literary Gazette from 1817. Sara Coleridge [née Fricker] (1770-1845) The wife of Samuel Taylor Coleridge, who lived with her family at Greta Hall with Robert Southey. Benjamin Constant (1767-1830) French political theorist and novelist; author of Adolphe (1816). Desiderus Erasmus (1466-1536) Dutch humanist; author of The Praise of Folly (1511). John Hookham Frere (1769-1846) English diplomat and poet; educated at Eton and Cambridge, he was envoy to Lisbon (1800-02) and Madrid (1802-04, 1808-09); with Canning conducted the The Anti-Jacobin (1797-98); author of Prospectus and Specimen of an intended National Work, by William and Robert Whistlecraft (1817, 1818). Thomas Fuller (1608-1661) English divine and biographer whose Worthies of England was posthumously published in 1662. James Gillman (1782-1839) The Highgate surgeon with whom Coleridge lived from 1816 until his death in 1834; in 1838 he published an incomplete Life of Samuel Taylor Coleridge. George Gordon, fourth earl of Huntly (1513-1562) Lord chancellor of Scotland 1546; he plotted against Mary of Guise and was killed by the forces of Mary Queen of Scots. James Graham, first marquess of Montrose (1612-1650) Scottish Cavalier, famed for his exploits as lieutenant-general in Scotland (1644-1645). James Grahame (1765-1811) Scottish poet; author of the oft-reprinted blank-verse poem, The Sabbath (1804). He corresponded with Annabella Milbanke. John Graham of Claverhouse, first viscount of Dundee (1648 c.-1689) Scottish military officer and Stuart supporter made Viscount Dundee by James II; he was mortally wounded at the battle of Killiecrankie. Thomas Grahame (d. 1822) Lieutenant in the Royal Navy; he married Maria Dundas [afterwards Calcott] in 1809, and died at sea in 1822. He was the nephew of the poet James Grahame. Sir Robert John Wilmot- Horton, third baronet (1784-1841) Byron's cousin; he was MP for Newcastle under Lyme (1818-30), governor of Ceylon (1831-37), and was Augusta Leigh's representative at the destruction of Byron's memoir; he succeeded to his title in 1834. John Hunt (1775-1848) English printer and publisher, the elder brother of Leigh Hunt; he was the publisher of The Examiner and The Liberal, in connection with which he was several times prosecuted for libel. Ulrich von Hutten (1488-1523) German humanist and author of satires. John Knox (1514 c.-1572) The founder of Presbyterianism in Scotland. George Lamb (1784-1834) Lawyer and Whig MP for Westminster (1819) and Dungarvan (1822-34), he was the son of Elizabeth Lamb Viscountess Melbourne, possibly by the Prince of Wales. He was author of a gothic drama, Whistle for It (1807) and served with Byron on the management-committee of Drury Lane. His sister-in-law was Lady Caroline Lamb. William Lamb, second viscount Melbourne (1779-1848) English statesman, the son of Lady Melbourne (possibly by the third earl of Egremont) and husband of Lady Caroline Lamb; he was a Whig MP, prime minister (1834-41), and counsellor to Queen Victoria. Louis XVIII, king of France (1755-1824) Brother of the executed Louis XVI; he was placed on the French throne in 1814 following the abdication of Napoleon. Queen Mary of Scotland (1542-1587) The controversial queen of Scotland (1561-1567) who found a number of champions in the romantic era; Sir Walter Scott treats her sympathetically in The Abbott (1820). Charles Robert Maturin (1780-1824) Anglo-Irish clergyman, novelist, and playwright patronized by Walter Scott; author of the tragedy Betram (1816) and the novel Melmoth the Wanderer (1820). Henrietta Maturin [née Kingsbury] (1830 fl.) The singer and society beauty who married Charles Robert Maturin in 1803; she survived her husband. Joseph Mawman (1760 c.-1827) Bookseller of York (1788) and London, where he purchased the business of Charles Dilly in 1800; he was an acquaintance of Samuel Parr. François Eudes de Mezeray (1610-1683) French historian and man of letters, author of Histoire de France, 3 vols (1643-51). Anne Murray [née Elliot] (1782-1854) The daughter of the Scottish bookseller Charles Elliot; she married the second John Murray in 1807. John Murray III (1808-1892) The son of the Anak of publishers; he successfully carried on the family publishing business. Emperor Napoleon I (1769-1821) Military leader, First Consul (1799), and Emperor of the French (1804), after his abdication he was exiled to Elba (1814); after his defeat at Waterloo he was exiled to St. Helena (1815). Theophrastus Paracelsus (1493-1541) German physician, author of Die grosse Wundarznei (1537). Pliny the younger (61-112 c.) Roman letter-writer, the adopted nephew of Pliny the elder; the eighteenth-century translation by William Melmoth was frequently reprinted. Ann Radcliffe [née Ward] (1764-1823) Gothic novelist, author of The Mysteries of Udolpho (1794) and The Italian (1797). Mr. Randall (1817 fl.) An acquaintance of Coleridge and John Murray who was involved with the publication of Zapolya. Johann Paul Friedrich Richter [Jean Paul Richter] (1763-1825) German romantic novelist and miscellaneous writer, author of Vorschule der Aesthetik (1804). Albert Jean-Michel Rocca (1788-1818) Swiss Hussar, the second husband of Germaine de Staël (1816); they had a son, Louis-Alphonse Rocca (1812-42). Anne Jean Marie René Savary, first duc de Rovigo (1774-1833) French general, diplomat, and minister of police; his memoirs were published in 1828. Giulio Cesare Scaliger (1484-1558) Italian neoclassical critic who worked in France; he was the author of the influential Poetices libri septem (1561). Johann Christoph Friedrich von Schiller (1759-1805) German poet and playwright; author of The Robbers (1781), Don Carlos (1787), Maria Stuart (1800), and Wilhelm Tell (1804). Richard Lalor Sheil (1791-1851) Irish barrister and playwright; author of Adelaide, or the Emigrants (1814), The Apostle (1817), and other tragedies. He was an Irish MP (1830-50). Auguste Louis, baron de Staël-Holstein (1790-1827) The child of Madame de Staël, thought to be illegitimate; he inherited her husband's title in 1802. Julius Von Voss (1768-1832) Prussian playwright and novelist. Josiah Wade (1761 c.-1842) Bristol merchant and friend of Samuel Taylor Coleridge; Wade commissioned a portrait of Coleridge by Washington Allston in 1814. John William Ward, earl of Dudley (1781-1833) The son of William Ward, third Viscount Dudley (d. 1823); educated at Edinburgh and Oxford, he was an English MP, sometimes a Foxite Whig and sometimes Canningite Tory, who suffered from insanity in his latter years. Helen Maria Williams (1761-1827) English poet, novelist, and miscellaneous writer who resided in France after 1788; she published Letters from France (1790-96). John Wilson [Christopher North] (1785-1854) Scottish poet and Tory essayist, the chief writer for the “Noctes Ambrosianae” in Blackwood's Magazine and professor of moral philosophy at Edinburgh University (1820). George Gordon Byron, sixth Baron Byron (1788-1824) The Corsair: a Tale. (London: Murray, 1814). The story of Conrad, Medora, and Gulnare, related in heroic couplets. Lady Maria Callcott [née Dundas] (1785-1842) Journal of a Residence in India. (Edinburgh: A. Constable, 1812). Second edition, 1813. Lady Maria Callcott [née Dundas] (1785-1842) Little Arthur's History of England. 2 vols (London: Murray, 1835). For children. Lady Maria Callcott [née Dundas] (1785-1842) A Short History of Spain. 2 vols (London: J. Murray, 1828). Reprinted 1839-40. Lady Maria Callcott [née Dundas] (1785-1842) Three Months passed in the Mountains East of Rome, during the Year 1819. (London: Longman, Hurst, Rees, Orme and Brown, 1820). Second edition, 1821. Samuel Taylor Coleridge (1772-1834) Biographia Literaria, or, Biographical Sketches of my Literary Life and Opinions. 2 vols (London: Rest Fenner, 1817). There were also two New York editions in 1817. Samuel Taylor Coleridge (1772-1834) “Christabel” in Christabel; Kubla Khan, a Vision; The Pains of Sleep. (J. Murray, 1816). Only the first part of "Christabel" was published in this volume. Samuel Taylor Coleridge (1772-1834) “Glycine: a Song” in Zapolya: a Christmas Tale. (London: Rest Fenner, 1817). Reprinted in Poetical Works (1828). Samuel Taylor Coleridge (1772-1834) “Kubla Khan” in Christabel; Kubla Khan, a Vision; The Pains of Sleep. (J. Murray, 1816). A poetical fragment of a dream inspired by reading Purchas's Pilgrimage. Samuel Taylor Coleridge (1772-1834) “Mr. Southey and Wat Tyler” in The Courier. (1817). A series of essays defending Southey in the controversy over Wat Tyler, published in The Courier for 17, 18, 27 March and 2 April, 1817. Samuel Taylor Coleridge (1772-1834) Remorse: a Tragedy in Five Acts. (London: W. Pople, 1813). Four editions were printed in 1813; the play originated as Osorio in 1797. Samuel Taylor Coleridge (1772-1834) Zapolya: a Christmas Tale, in Two Parts: the Prelude entitled ‘The Usurper's Fortune; ’ and the Sequel entitled ‘The Usurper's Fate ’. (London: Rest Fenner, 1817). In imitation of Shakespeare's Winter's Tale. James Grahame (1765-1811) The Sabbath: a Poem. (Edinburgh: W. Blackwood, 1804). Grahame's most popular poem, often reprinted. James Henry Leigh Hunt (1784-1859) The Autobiography of Leigh Hunt. 3 vols (London: Smith, Elder, 1850). James Henry Leigh Hunt (1784-1859) The Story of Rimini, a Poem. (London: Murray, 1816). Hunt's Italian tale of illicit love, despite or because of the storm of criticism it aroused, was several times reprinted in Britain and the United States. August von Kotzebue (1761-1819) Lovers' Vows, a Play, in Five Acts. (London: G. G. and J. Robinson, 1798). Translated by Elizabeth Inchbald. Matthew Gregory Lewis [Monk Lewis] (1775-1818) The Castle Spectre: a Drama. In Five Acts. (London: J. Bell, 1798). First performed at Drury Lane in December 1797. Charles Robert Maturin (1780-1824) Bertram, or, the Castle of St. Aldobrand: a Tragedy in Five Acts. (London: J. Murray, 1816). A Byronic drama produced with great success by Edmund Kean at Drury Lane. Charles Robert Maturin (1780-1824) Fatal Revenge; or, the Family of Montorio. A Romance. 3 vols (London: Longman, Hurst, Rees, and Orme, 1807). There were two New York editions. Charles Robert Maturin (1780-1824) Manuel: a Tragedy in Five Acts. (London: J. Murray, 1817). Maturin's second tragedy played for only five nights at Drury Lane. Charles Robert Maturin (1780-1824) The Milesian Chief: a Romance. 4 vols (London: Henry Colburn, 1812). Charles Robert Maturin (1780-1824) The Wild Irish Boy. 3 vols (London: Longman, Hurst, Rees, and Orme, 1808). Charles Robert Maturin (1780-1824) “The Tragic Drama.—The Apostate” in Quarterly Review. Vol. 17 No. 33 (April 1817): 248-60. A review of Richard Lalor Sheil's The Apostate. Johann Christoph Friedrich von Schiller (1759-1805) Kabale und Liebe. (1784). A tragedy anonymously translated in 1795 as Cabal and Love. Johann Christoph Friedrich von Schiller (1759-1805) Die Räuber. (1781). Schiller's first important tragedy, translated into English in 1792. Johann Christoph Friedrich von Schiller (1759-1805) The Death of Wallenstein. A Tragedy in Five Acts. (London: T. N. Longman and O. Rees, 1800). Translated by Samuel Taylor Coleridge. Richard Lalor Sheil (1791-1851) The Apostate: a Tragedy in Five Acts. (London: J. Murray, 1817). Robert Southey (1774-1843) “Parliamentary Reform” in Quarterly Review. Vol. 16 No. 31 (October 1816): 225-78. Germaine de Staël (1766-1817) De l'Allemagne. 3 vols (Paris: H. Nicolle, 1810). Suppressed by Napoleon's police; it was translated as Germany (1813) by Francis Hodgson, and published by John Murray. Germaine de Staël (1766-1817) Considerations on the principal Events of the French Revolution. (London: Baldwin, Cradock, and Joy, 1818). Posthumously published in French and English. Germaine de Staël (1766-1817) Corinne, ou L'Italie. (Paris: Garnier, 1800). Recounts the unhappy love of an Italian poetess and a Scottish aristocrat. Julius Von Voss (1768-1832) Luise. (Königsberg: 1795). A poem in three idylls, the author's most popular work. Helen Maria Williams (1761-1827) A Narrative of the Events which have taken place in France, from the Landing of Napoleon Bonaparte on the 1st of March, 1815, till the Restoration of Louis XVIII, with an Account of the Present State of Society and Public Opinion. (London: John Murray, 1815). Title: Memoir of John Murray 2 Vols (London: John Murray, 1891).